"amazed with the great service"
✅ Trip Verified | Bangkok to Oslo. Amazing airline with great staff and very good services. From the check in until arrival we were treated in a very good manner by airport staff and also by cabin crew, smiling and full of enthusiasm. New and clean aircraft with comfortable seats and nice inflight entertaiment. Some people were upset because of the luggage but company informed even via sms and email about policy. Well done Norwegian! Really amazed with the great service for a low cost airline! ✅ Trip Verified | Oslo to Tel Aviv. Flight was delayed as 20 minutes before flight time they ran a handbag size check. They said it is too big and charged 750kr although my ticket included an option for a checked-in bag. I never encountered such rude behaviour. ✅ Trip Verified | San Francisco to Barcelona via Gatwick. Charged $200 because the combined (not individual) weight of my carryons were overweight ($100 for the first leg, and then another $100 since I had a layover), plus the person checking my bag accidentally also charged my credit card $800, which I have to now wait until it clears off of my card. "had to pay $90 for 3kg"
✅ Trip Verified | Las Vegas to Gatwick. 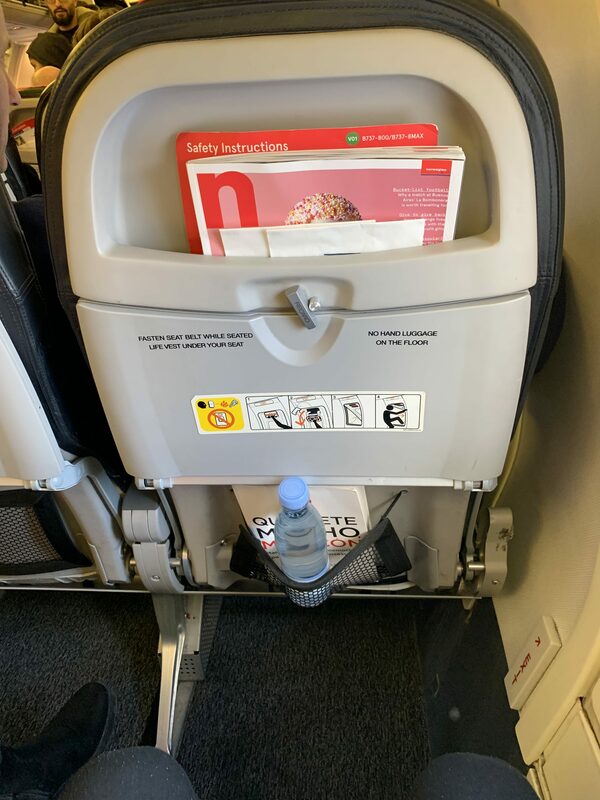 After purchasing my tickets to Gatwick for my daughter’s college graduation, I received an e-mail from Norwegian Airlines to place a bid to be upgraded to Premium seating. As this is almost a ten hour flight, I thought why not?! The bidding was confusing. I thought I was bidding $50, but actually they added $50 to the original cost of my ticket and added that sum to my original ticket. This made my ticket for one-way over $750. It stated on my bid that I had up to 36 hours from the departure of my flight to opt out for this. Well, it was over 48 hours until departure, so I felt I was in the clear! The first person I spoke to on the phone continues to put me on hold as he pretended to speak to his supervisor. Not understanding what the complication was, I was becoming frustrated. I had my itinerary, I wanted my original seat of 14J. After spending a substantial amount of time on the phone with him, he kept telling me this wasn’t easy to do. Then, he hung up. I had to call back and start all over again. He finally said he would give me my original seat and would send me updated documentation. Which he never did. When I went to the airport, the ticket agent gave me my boarding pass of 14J, with no reference to Premium seats. On the flight back, I was confronted by a gate agent who looked at my ticket. Seeing it was a bargain fare, she asked me to weigh my carry-on luggage. She said it was 3kg over. I was forced to take breakable out of my bag. I had to pay $90 for 3kg. When I arrived home, they processed the extra $395 for a seat and service I never received. I disputed the charge with my credit card company only to be told by Norwegian that the fee was justified. 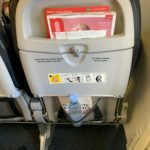 "They allow 10 kg of carry on"
Not Verified | Tenerife to Malaga. Very good service and no problem at all. I really like flying Norwegian! Ground Staff was really friendly as well as cabin crews and pilots. Smooth flight and nice service. "crew were smiley and polite"
✅ Trip Verified | Oslo to Barcelona. The boarding couldn’t have been more smooth, quick and very efficient. Cabin crew were smiley and polite during the flight. Arrived earlier in Barcelona and bags arrived very quick as well. 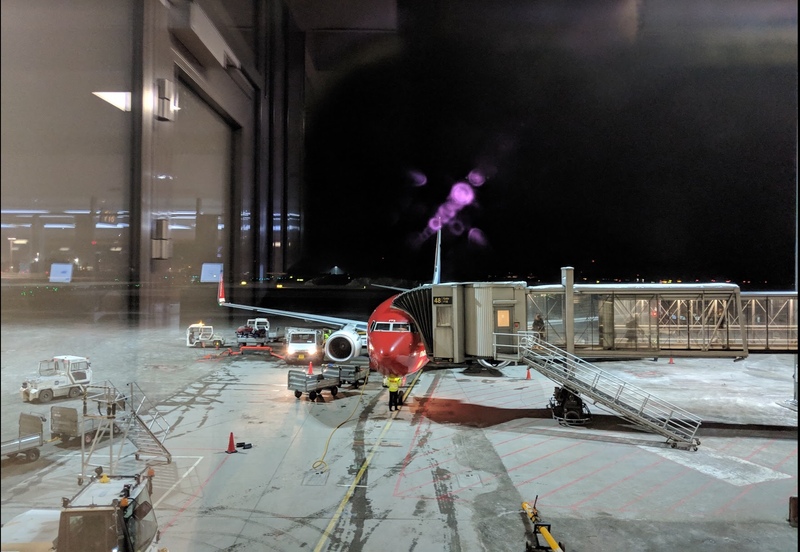 ✅ Trip Verified | Traveling from Oslo to JFK on flight 7001, March 2019. 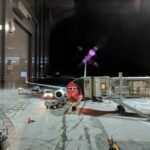 After checking in and waiting for a flight that was more than 3 hours delayed we were stopped right before boarding, and the sizes of our carry-ons, which were checked and approved at the check-in counter, were again measured against the Norwegian carry-on size rule. My bag was 2 mm over the line and I was told I must pay 650 kroner (~$76) and must hand my carry-on over to be checked in as regular baggage. The people who had fragile items or medicines etc. that they needed from their carry-ons had no time to re-pack. 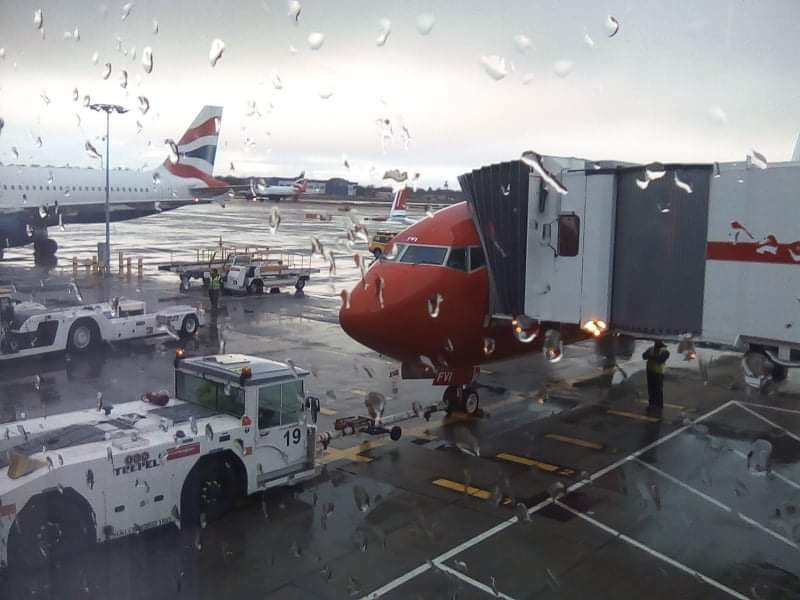 If we had been told during check-in it would have been manageable and people could have repacked, but to be approved already and then have that approval revoked at the last minute and the bag taken away. It was an inhumane money-making operation. ✅ Trip Verified | Los Angeles to Oslo. The plane was 1 hour and 30 minutes delayed when we arrived to the airport. Oh well, that happens, no worries. We checked in and received our boarding passes, we also received yellow “approved” bands that the Norwegian helpdesk attaches to our small carry on’s letting us know we were approved to bring our carry on with us on board the plane. My grandmother just died in Norway and I made it clear that I had part of her ashes with me in my small carry on. That’s no problem Norwegian said. Of course you can bring it on, and now you have a yellow approved tag on as well! We proceed with security check in and head towards our gate. The plane is now even more delayed. About ten minutes before boarding the plane Norwegian starts bugging everyone about their luggage. Apparently they claim to have new luggage rules, so they are charging 750 NOK extra to take your carry on from you before boarding. The same small suitcase I just used as carry on with a Norwegian flight from LAX to Oslo 3 days ago, now was too big, and they said you have to pay now and give it to us - for the flight from Oslo to LAX. Everyone was so mad! Norwegian doesn’t inform anyone of this of course My grandmothers ashes that I already discussed and confirmed with Norwegian check in was taken from me. I was charged 1300 for my boyfriend and mine small carry ons. They were extremely unprofessional in handling this matter. They finally gave me my carry on back (but I was charged of course). 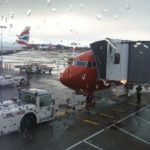 I will never fly Norwegian again.